Purchased for a Harley enthusiast and he likes them. They are as expected. 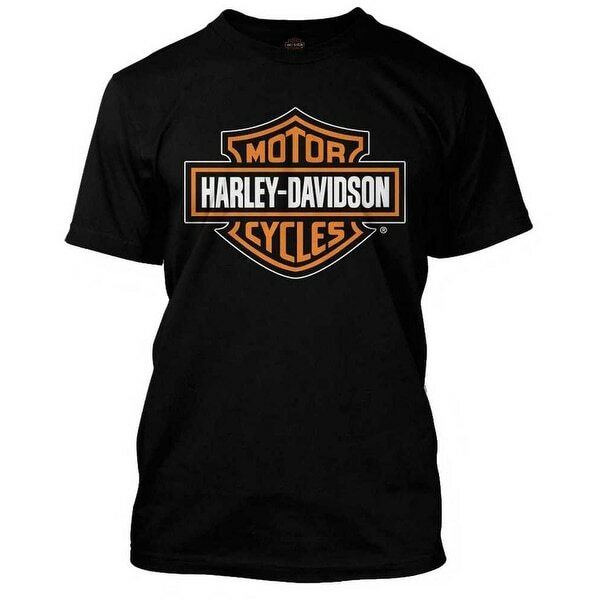 Harley-Davidson® Men's Bar & Shield Tee. Highest quality 100% cotton black short-sleeve t-shirt with orange and white Bar & Shield graphic across front. Wisconsin Harley-Davidson Dealership logo and script on back. 30290591.